OwlThon at Florida Atlantic University came together on Child Health Day, held October 1, with a goal to register as many students as possible within their Dance Marathon program. One of their initiatives included a video showing why this movement “Commits For The Kids” each and every day. 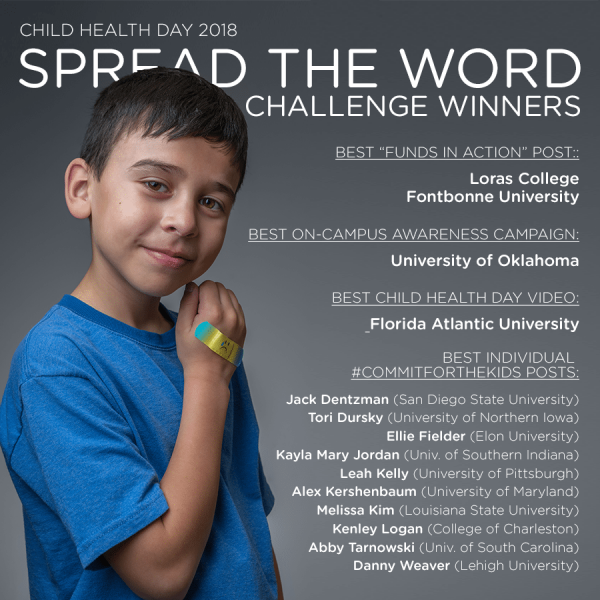 The video grabbed the attention of the National CMN Hospitals office, which awarded a donation and nationwide recognition to OwlThon for “Best Child Health Day Video.” In one day, OwlThon registered 277 students from their campus, not including high school students who also registered on behalf of their respective schools. OwlThon’s marquee event will take place March 23 on the FAU campus. 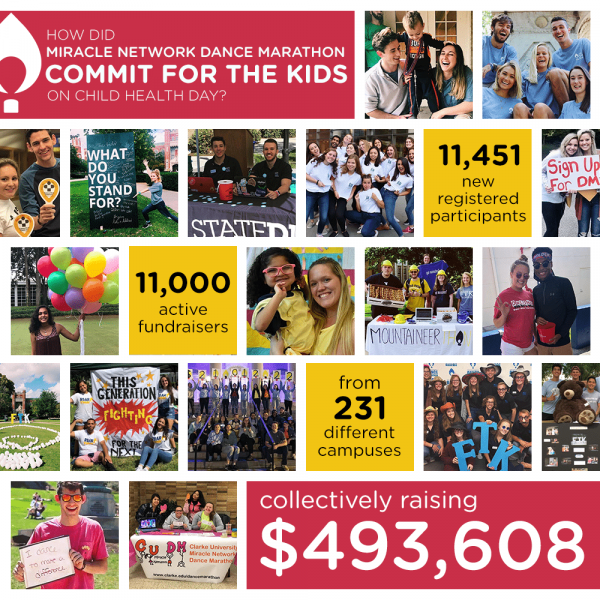 Dance Marathon at the University of Florida also used Child Health Day as an opportunity to raise even more funds. Their efforts resulted in more than $73,000 donations in one day. Those dollars are part of their yearlong effort that also culminates in a spring event. Read more about the challenge and its winners from the national CMN Hosptials blog.